Charlie plays about 40 shows a year, either as a solo artist or with one of three very cool bands. He plays around Michigan at Clubs and festivals and at clubs in the Florida Keys. Bio Snapshot – Charlie has performed as a regular member with The Draytons, Spice, No Brand Blues Band, Pepper Pie, McCray Brothers Band, The Bluegills, Larry McCray Band, Myk Rise Band, Sharrie Williams and the Wiseguys, Earl Haynes Quintet, Earljam, The Cliff Badgers, Crazy Chestur, Jive at Five and Rising Walrus Band. Songwriting – Walmsley’s song “Sunny Monday” was recorded by Saginaw blues legend Larry McCray on his 1998 House of Blues release “Born to Play the Blues”. House of Blues records selected Walmsley’s “Sunny Monday” for four additional compilation releases. Walmsley wrote or co-wrote seven songs on Crazy Chestur “Harvest Party” (2015) which made “best of 2015” list on Roots Music Report. 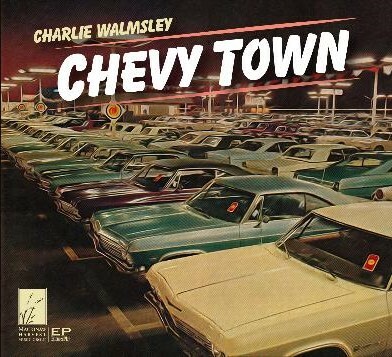 Chevy Town (EP) was released in 2018 with four originals. Opening Act – Here are some artists that Charlie has shared the stage with: Bobby Blue Bland, Johnny Taylor, Millie Jackson, Laith Al-Saadi, Ronnie Baker Brooks, Preston Shannon, Shirley King, Ray Bonneville, The Stooges, The Rationals, Scott Richard Case, Gary Lewis & The Playboys and J Frank Wilson.